Listen to Gretta Podcast Interview on CinderellaCEO On Air. Cary Broussard: [00:00:03] Hi. 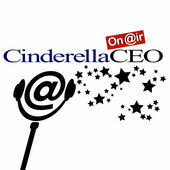 I’m Cary Broussard, and I’m host of CinderellaCEO On Air podcast. This podcast is based on the business book From Cinderella to CEO, which has been published in 10 languages, and it’s helping people transform their business lives through the morals of fairytales. So we’re coming to you today from Dallas, Texas with our featured CEO Gretta Brooks, founder of the patent pending on a technology that transforms the art of sales. It’s called SalesBoost. Her company is on the cutting edge of technology, and they are doing the bulk of the work in improving sales techniques and training in the hospitality industry. But I do believe that SalesBoost will become a major technology in all industries. Gretta has been an executive in the hospitality industry for 30 years and more–which is hard to believe because I’m looking at Gretta right now and she looks like she’s in her 20s–she’s been running 3 global sales organizations and leading award-winning hotel sales teams in and around the country and the world. Three of whom I know you know: Omni Hotels, Wyndham Hotels and Resorts, and Hilton. So welcome Gretta. Gretta Brooks: [00:01:29] Thank you Cary. This is exciting. Cary Broussard: [00:01:32] It is really exciting. And I like the fact that we’re using a technology right now doing the podcast. But you’re going to tell us a lot more about how you got into technology. You’ve actually been searching over the years in the hospitality industry for the best way to train your sales teams and it’s been really, really hard to find. So you just came up with a way to find and develop your own technology. Can you tell me a little bit about this? Gretta Brooks: [00:02:11] Sure, well, you know Cary I think it’s important to know that our industry’s current sales training is only 20 percent effective, and that was really something I knew I had to fix. It just is not enjoyable; regular classroom training and watching webinars at your desk are not impactful, and they’re only 20 percent effective, meaning you only retain a small portion of what you learn, and that goes for a lot of classroom training and a lot of training that we do today. I really had to dig deep and understand what would it take to improve that so that people really learned truly learned and they could use what they learned and make immediate improvements in their lives. Cary Broussard: [00:03:02] And their livelihood. Gretta Brooks: [00:03:03] Oh yeah right. Cary Broussard: [00:03:04] Sales can come naturally it seems for a lot of people. But maybe perhaps it can be taught is what you’re saying. Gretta Brooks: [00:03:22] Sales can be taught. There are some important things to consider when you’re looking at becoming a sales person or when you’re hiring a sales person. And there are qualities that will ensure success. So some qualities don’t work better than others and it will be easier for that person and more enjoyable for that person. So there are some qualities that will make sales more effective and efficient. However really anyone can learn the skills, and their sales components of every single job. So even if you’re in accounting, your job is about reinforcing that customer service which is being sold. So revenues make the world go round. And if we don’t improve revenues through either direct sales or passive sales or customer service we’re not going to improve our profits and so our sales become stagnant. Cary Broussard: [00:04:22] And there is something about hospitality sales that I never realized. 80 percent of hotel sales are conducted or closed over the telephone. Gretta Brooks: [00:04:38] Yes actually for most hotels 92 percent. Gretta Brooks: [00:04:41] So Sales Force which is the largest CRM company in the world they actually have all the data and they use their data and looked at the conversion of all of their sales and 92 percent are actually over the phone. Cary Broussard: [00:04:53] SalesBoost obviously is different from SalesForce but you’re finding the same thing and CRM, customer relationship management. So Sales Force is a tool that you can use, anybody can use in any industry. Right now you’re launching SalesBoost in the hospitality industry. Why is that? Gretta Brooks: [00:05:19] Well I really found that there was not an effective way of training new team members, first and second level team members, in an engaging way. And in a non-humiliating way. The most effective part of classroom training is role playing. But I would say that most people don’t enjoy role playing. I’m probably one of the few people that enjoy part. But does it make everyone nervous? Yes, of course it does. So to improve confidence and improve performance, you have to learn new skills, and if you don’t learn new skills you’re not going to improve. Well if you don’t like the training and you don’t like the way the training is done, you’re nervous about it and you’re more focused on the actual activity than you are about improving your performance. So most people walk into sales training and say ‘I know the role playing is coming up. Are they going to make me do something weird,’ and it’s not comfortable. So people shut down. They may complete the task but they shut down and they’re not actually engaged or learning. Cary Broussard: [00:06:36] So it kind of goes back to: Are you a natural or are you not a natural? So I would think we can improve like you said. Pilots can also practice their way of flying an airplane; a salesperson can actually practice and get real time feedback on how they’re doing through your technology. And get this feedback through Sales Boost, which is a voice analysis technology on which you have a patent pending. Gretta Brooks: [00:07:17] Yeah. That example that you just mentioned is so important. So you know pilots have been doing this for years and I looked at adult learning and how people learn the science of learning. So I really did a lot of research. I took some time off to make sure that I understood what it would take to actually create this technology, and what it comes down to as what pilots have been doing for a long time which is why we have such great safety. So one of the key components there though is their rehearsal. So rehearsing is key to adopting a new behavior and then it becomes second nature. So even though you’re not comfortable in every sales scenario, every single process, perhaps you’re good at qualifying or you’re good at overcoming objections. But the closing is not your favorite part. You can still build that muscle and rehearse that just like pilots do when they rehearse an engine going out. And so instead of the panic mode they have muscle memory and they know what to do and they don’t panic and they don’t have the emotional turmoil that will hold them back from handling the situation. Thank goodness. So we’re much safer. Same thing with learning a new skill. Sales Boost really gives the sales person or the user the ability to learn a new behavior and rehearse so that they’re not rehearsing in front of a real customer. They’re gaining confidence by rehearsing behind the scenes in private. No one has to see what they’re doing. No one has to listen to it and they practice as much as they like until they feel confident and they can make the call or close the sale or do whatever it takes to be successful. Cary Broussard: [00:09:07] That’s so great. So the discipline of rehearsal really works. Practice, practice, practice. And how would someone who partake in Sales Boost. What’s the process? What was the first step? Gretta Brooks: [00:09:31] Sure. So SalesBoost is designed really based on the user’s experience. So a user can actually sign up. So it could be a sales person for Conference Services example. We actually focus on all the roles in a hotel versus only the group sales which tends to be how most training is based, on generic sales. And since group sales is the majority of our sales we focus on that primarily. Business travel gets some training but we really focus on training all roles. So it can be Conference Services, it could be the Leader learning how to interview. It could be the chef. It could be any team member. Gretta Brooks: [00:10:19] Your receptionist, your front desk people… So it’s really critical for your line level people to be able to develop themselves. So if they’re not getting the training that they need, they can purchase this by going to SalesBoost.com as an individual and sign up for their own subscription. Or for enterprise clients who, like Hilton or Aimbridge or Genos hotels, these type of companies can sign up for their organizations and sign up all of their hotels and all of their users. And they can have a private label and can also have proprietary content added to the site that is personal and private. Cary Broussard: [00:11:21] That is so helpful to know about. And I think you’ve told me plus I’ve seen the demo before ~ but you can actually access this over the phone through your mobile device. Gretta Brooks: [00:11:35] You can access it on your computer or your mobile device. So it works in any variation and we want that to be a big part of it because you can’t always practice while sitting at your desk. You want to be able to practice if you’re walking down the street on your way to a meeting in your car right before you walk into a meeting. Cary Broussard: [00:11:54] That would be fantastic to do that because that’s right at the point in time before you meet with a client or a potential client where we might get in that little bit of a panic mode. So you can put your earphones in. Plug into your phone and practice a little bit. Gretta Brooks: [00:12:12] Practice your scenario. Get those nervous bugs out and be more confident and reduce that anxiety. Anxiety is really the biggest challenge for most salespeople and that’s why a lot of people don’t learn new things because it’s scary. Sales actually take some tenacity. Cary Broussard: [00:12:35] It takes guts, it takes tenacity, it takes confidence, and there’s a fine line in sales of trust and making sure that you have a relationship with your client so that you they’ll go out on a limb with you or they’ll follow you as a partner. How does that work? I mean I guess in a way as you’re rehearsing and practicing and you’ve also got content that helps people in the way that they build relationships with their clients. Gretta Brooks: [00:13:11] Yeah all of our training is based on real-world examples that are relevant to today’s business world in the sale scenarios that salespeople will be going through. And so you know there are rate challenges, date challenges, etc. You know whether or not a client will fit into that meeting space or you have all of the requests that they have for their RFP. I think–if someone’s interested in going into sales–you know being competitive is probably the most important component. But next to that is being a lifetime learner and being a problem solver. That’s really what it takes to be a really impactful salesperson. So to your point, for salespeople who love to learn and are problem solvers, Their customers really enjoy that and trust that because they know that they’re going to find a way to make things happen or find a solution that has their best interests at heart. Cary Broussard: [00:14:25] Great. That is so wonderful to summarize it in that way because it reminds me of under-promise and over-deliver. And I think going into sales in that way is as a positive trend, instead of over-promising and under-delivering for instance. Gretta Brooks: [00:15:02] Absolutely and that means that a salesperson really has to know their product and know their internal options and what their property and what their team can accomplish. But they also have to motivate their team to sometimes do things that pushes them out of their comfort zone to really wow a customer. So a salesperson has to motivate not just their external customer but they oftentimes have to, more importantly, motivate their internal customer to make things happen. So we teach them how to do that as well. Cary Broussard: [00:15:34] That’s really cool. This is the wonderful thing that you’ve come up with. So have you always been a techie? Salespeople I don’t think of necessarily as technology people but what happened, Gretta? How did this happen in your life? And other people listening who may not think they’re techies: maybe they really are. Gretta Brooks: [00:15:55] Maybe they are. Cary Broussard: [00:15:55] Yeah maybe they should try this because it could transform your life. Gretta Brooks: [00:16:00] You know there’s a SAS business world which is..
Cary Broussard: [00:16:04] What does SAS stand for? Gretta Brooks: [00:16:08] Yeah I just I didn’t understand all that…I do a bit more. I really just do what I think makes sense and use technology when it’s effective and efficient. If it doesn’t make you efficient or effective you can do it the old-fashioned way. But I really I think it started with you know back in the 80s, I played video games and I loved playing and we had the Pong game that we got for Christmas one year and loved that and it was fun but I wanted more. And so when a new game came out I would play it or a computer– And I was really curious as to how that all worked– and I didn’t want to tear it apart and build a computer. I just wanted to move the shiny penny. I was just like Ooh if it can do this I wonder if I could do this. So I’ve always been really excited about any new technology. I always find it fun, so if there’s a new app I’m that type of person that if there is a new way of doing something or someone got an app for that, I’m all over it because anything that can make your life easier, I use. Cary Broussard: [00:17:22] So you’re not afraid of it. And I think that’s key, and there might be a two-edged sword. People who are used to face to face sales might be like, ‘well why do we need the technology?’ And then you may have let’s just say, I’m not picking on the millennial generation, but they’re not as used to using the phone. Right? They’re texting everybody and emailing, but they may need to understand why voice is so important. Gretta Brooks: [00:18:00] Well your voice is a very powerful tool. And so when you can utilize that and you sound more effective and more confident and you can change, so part of what we tell people and show people through voice analysis that coaches them and gives them feedback, that voice analysis technology is so important because it tells them what they can do differently. So for instance just smiling which we’ve all known, but now it’s actually scientifically documented, that it improves the way your voice sounds. So I’m smiling right now. Cary Broussard: [00:18:34] I can tell! Well, of course, I’m looking at you, but I can tell from your voice too. Gretta Brooks: [00:18:37] And I sound much more engaging and my voice I can also lower it or move it up based on how I want to be heard. And I can be more effective by changing my voice a little. And when you can learn that, you learn how to get someone’s attention, how not to sound monotone, how to sound exciting and enthusiastic. And so we do teach people how to train their voice, so we teach them what to say and then how to say it. So we do two things. So you learn a new way of saying something which helps engage your brain. Any time you train yourself to do something new a new language or a new concept, it creates you know more of those neural pathways and so it improves your brain and that muscle memory. Cary Broussard: [00:19:36] And your voice is an instrument. Cary Broussard: [00:20:25] So how long does it take to do SalesBoost training? Gretta Brooks: [00:20:29] Well our courses can take about 15 minutes to complete from start to finish. So it’s a nugget training or micro learning – there are many different words for it — but it’s on-demand, so you can take training in bite-sized nuggets that only take about 15 minutes. You can take as long as you like. It depends on how many rehearsals and how deep you go into the best practices. We give a lot of documentation and downloads and Ted Talks and different components that you can poll-in so you are really absorbed with the concept. But then there’s the quiz and a rehearsal and then a final assessment. So 15 minutes for a course. And if you take a track, which would be let’s say Sales 101 from start to finish, from qualifying making the call all the way to closing, there’s probably six or seven of those courses in a track. Cary Broussard: [00:21:29] Wonderful. So it’s easy but challenging. It’s not humiliating the way role-playing can be. Let’s just put this into the context of an employee and a boss/supervisor. If I’m practicing and I want to improve my sales skills and my content that I’m using in my sales calls, how does my boss check in on me and find out if I’m actually taking the course or improving? Gretta Brooks: [00:22:02] Well one of the things about the non-humiliation concept is that your scores are not seen by anyone while you’re rehearsing. So it just shows to your manager that you are rehearsing. If an assessment has been requested from your manager, for instance, they put a due date and they assign a course because it’s part of their sales training curriculum that they’re working with our team on, then that assessment score is locked in and that is shown to the manager but the sales person or the user can actually rehearse as many times as they like with no one seeing any of their scores. So they can keep on working maybe on one phrase or the whole concept until they get very comfortable with it and then they could take a final assessment. If they assign themselves a course, they don’t ever have to take an assessment, but it is there for managers to provide a training curriculum to their team members. Cary Broussard: [00:23:05] How awesome and I think, well, I believe I’ve read this…and I don’t mean to put you on the spot about this… but is there anything else out there like this? Gretta Brooks: [00:23:16] There’s not! I looked everywhere. So this is actually how I came up with it. I kept looking. My team members were asking for this. And so I had this question over and over again and I remember Lisa up in Cincinnati said ‘Isn’t there a website or someplace where I can just get some training like the training that you do with us? Is there a place where we can just get that?’ And so I think that just kind of stuck in my head for a while until this idea came to fruition until I really developed the overall concept. SalesBoost is reinforcement training so it can take the place of classroom training in many cases. Because we have field-based hotel team members, they need to be able to receive training on their first day. So by using SalesBoost, your new hires get onboard immediately. They start working and start calling customers and sounding confident and professional instead of waiting for six months for some type of brand training that comes along. Brand training is important and it’s always great to get together with your team members, but being able to really practice and rehearse and learn, you have to be able to do that on demand as needed. Cary Broussard: [00:24:28] Gretta now that we have heard all about SalesBoost and I want to know more, but I want to also note you’re just an impressive woman. CEO of your own company, you’ve been an executive at the top hotel companies in the world… Has life always been a bowl of cherries for you and everything has come easily to you? Gretta Brooks: [00:24:50] Oh no. Cary Broussard: [00:24:52] Oh really .OK. Well, what’s your favorite fairytale? Who comes to mind when you think of what your life’s been like? Cary Broussard: [00:25:46] And the self-talk it sounds like. The voice in your head. Gretta Brooks: [00:25:50] The voice in your head…You know I think just being able to learn from the experience and grow from the experience and move forward and change and adapt and not blame yourself and forgive yourself. I think these are all incredibly powerful tools to use no matter what happens in your life. Cary Broussard: [00:26:15] So Cinderella is such a great fairy tale. We all can identify with it I think. You know the other one that comes to mind is Rapunzel… Rapunzel uses her voice and she reminds me of you. She’s at the top of the tower. She’s trying to get the attention of a suitor. Substitute customer!… in the fairy tale, but ultimately we’re trying to use our voice and sometimes we’re not as confident. And how do you build that confidence? And why is it important? Cary Broussard: [00:27:18] Even if you don’t feel that confident inside. If you start modeling that…is that a way to put it? Gretta Brooks: [00:27:27] Absolutely. You know I mentor so many people, especially young women and so enjoy it. I’m getting them to see their strengths that they have and to see what they have to offer and use that as a platform to build their confidence and build from there. Then you know really focus on becoming a more powerful woman through gaining that confidence. And it comes, it comes with time. But you know sometimes you have to pick yourself up and dust yourself off and keep on going. Cary Broussard: [00:28:04] And that’s part of the process. So the next podcast when we get back together, I want to talk more about mentoring because you are someone who has mentored probably hundreds of women if not more. And I want to find out a little bit more or a lot more about what you enjoy about it, how do you find time to do it, why you find time to do it, and just why it’s important for person being mentored – a mentee – but not only the mentor but the mentor as well what it means to you and why you do it. Gretta Brooks: [00:28:43] Yeah I’d love that. Sounds great. Cary Broussard: [00:28:44] Next time let’s talk about that. In the mean time where can people go to find out more about SalesBoost. Gretta Brooks: [00:28:49] Just go to salesboost.com. Cary Broussard: [00:28:52] I’ll do it . Gretta Brooks, CEO of salesboost.com and SalesBoost LLC. Gretta Brooks, it has been such a pleasure having this interview today with you. And I want to thank you again for your time and your advice and telling us all about your new company. Gretta Brooks: [00:29:10] Thank you so much, Cary. It’s been a pleasure. Cary Broussard: [00:29:12] You’re welcome.